The contemplative poet high atop Bear Lake. and towering rocks of Bear. 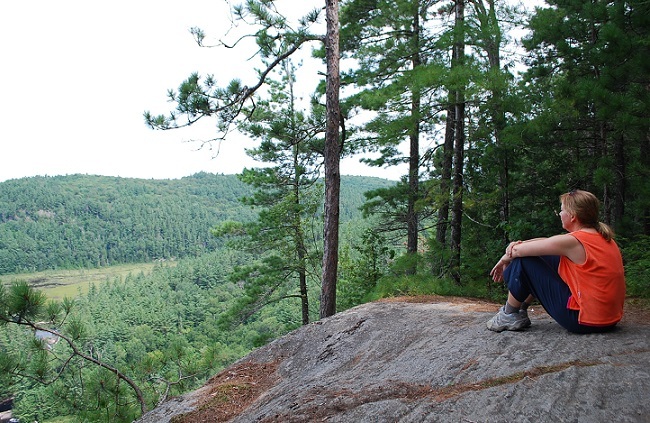 Amy Miller-Gourley is a writer living along the Simcoe shores in the Mariposa made famous by Stephen Leacock. While Brief Times Spent is Amy's first appearance within these pages as a writer she has previously appeared as a muse in the poem Sunset Amy. We look forward to seeing more of her poetry in the near future.